The refugees stemming from the anti-Zionist period of Soviet Russia in the 70's, hence, also would serve to satisfy this last condition under the larger set of definitions. As with other populations who made attempts at reform and change during the Cold War, Zionist Jews in the Soviet Union faced persecution and discrimination for their political stances. However, many of the fears of the communist owners of the Soviet bloc regarding Zionists seemed not to reflect actual considerations of the aims of Jews looking to migrate to Israel, but those of other extraneous political ties. As Israel had allies in the West, and Zionists had perceived ties to Israel, Communist theorists surmised that the Jews, as a whole, could develop anti-Soviet tendencies and promote instability in the region. Consequently, the Soviet government published anti-Semitic, anti-Zionist propaganda in an attempt to brand Jews as racists and elitists, and routinely curtailed the liberties of Jewish individuals and organizations. 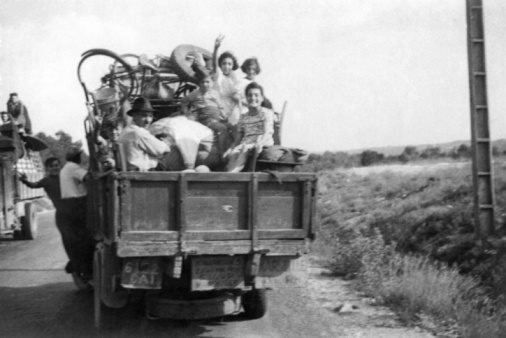 It is this type of situation that forced the emigration of Russian Jews as refugees and helps to rationalize their escape from the Soviet Union, especially after the international community pressured the Soviets to loosen their restrictions on exit visas as a new form of Jewish diaspora. As for what became of the Jews, many indeed made the pilgrimage of sorts to Israel. Meanwhile, other refugees, especially towards the end of the 70's and into the 80's, headed to the United States, and in increasing numbers.